One of the great advantages of going to conferences and workshops is that, if you're lucky, they blow your mind away. Caped CONduit 21 just ended, and it was incredible. CONduit isn't a writing conference, it's a SF and F general convention. But I learned just as much about writing and story as if it had been a conference designed for writers. Tracy Hickman said something that took my world, spun it upside down and turned it inside out. He said, "Don't seek to be published, seek to be read." Don't seek to be published, seek to be read. So simple, and it makes so much sense when you think about it. 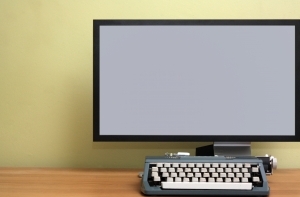 With advances in technology, anyone with a computer and Internet connection can be published. You might say that it's never been easier to be published than it is now, and I think it's only going to get easier. That means there's going to be a lot of noise out there. And being heard and noticed is going to be a lot harder and take a little more creativity to achieve. So many times we writers tend to focus on the wrong things, and getting published is one of those. I'm not putting down the notion of publishing. I seek to be published, and I think it's a great thing--but it should not be the limit of our dreams. Sometimes our vision isn't large enough, and that limits us. 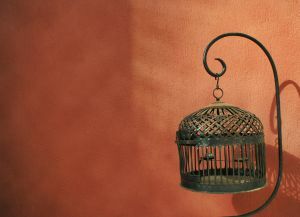 We cage ourselves in our own expectations simply because we never think to look up. The thing about dreams is they're meant to be large. When you sit down at the table of dreams, forget about taking small servings, never snatching the last roll, or taking tiny bites of the pie. Forget about which silverware everyone else is using, and just dig in. Dreams are only as finite as we make them. Daring to dream big doesn't mean there will be less dream for the next person on your left, so don't cheat yourself by taming your dreams. Realistically, you're going to have to work hard--but that's the reality of dreams. So, if being published isn't what we should be aiming for, what then? I believe the ultimate goal (besides being true to yourself) should be writing something that's worth reading. Something that speaks to people loudly enough, deeply enough, that your words reach out of the page and drown your reader in a sea of thought and perception that they become a part of. Something that will keep them coming back over and over and over again. Being published is great, being read is better. I don't believe that any of us seek to write into a void. We have something important to say, a story to tell. We want readers. So how do we get them? It's all about writing something that's worth being read. That means learning what Story means. How it's shaped and structured and why. I'm not a fan of all the writing rules floating around out there. I think they're good guidelines, but they can also clip your story's wings if your story needs to be something else. However, if you want to break the rules effectively, you need to know them in the first place. And I mean know--not be aware of or know about--you need to know them. Recognize them. Understand them. And there are some guidelines I don't think should be broken. Story structure is one of them. If the foundations of the story aren't put together right, the reader's going to feel it. They may not be able to pinpoint exactly why, but they will feel the lack and it may be enough of a lack for that reader to never come back. Story structure is the bones of the story, it isn't the writing. Characters are the heart. They aren't the writing either. Themes and ideas are the muscle. And we still haven't hit the actual words yet. Words are the flesh and grammar is the tendons. And yet, I'd wager that the words and grammar are around 90% of what writers focus on. Look at the "rules", we've all heard them. They're even called writing rules. Now, this isn't to say the rules are bad. They're not. It's important to know when to show and when to tell. It's important to engage the reader with tight, clean prose. But if your skeleton's broken, if your heart's not beating, if your muscles are thin and underdeveloped, will it really matter if you've got acne or tendonitis? Most of writing well has nothing to do with the actual writing. This is a mistake I know I've made, and one I'm going to work very hard to not make again. Because I don't just want my name in print. I don't want to just have my books on shelves in bookstores. I don't want to just be able to say that I'm published. That's too small a dream. And even being widely read isn't quite enough for me. I want to take a reader by the heart and soul and never let them walk away from my stories as the person who opened the cover for the first time or the hundredth time. Our dreams should give us wings that allow us to fly past the stars. So don't keep your feet on the ground. Don't let fear cage you in. And don't ever, ever forget to look up. Danyelle writes MG and YA fantasy. In her spare time, she collects dragons, talking frogs, and fairy godmothers. She can be found discussing the art of turning one's characters into various animals, painting with words, and the best ways to avoid getting eaten by dragons on her blog. Congratulations to some fellow QTer's for finding their agents. Barnes and Noble says that foreign language e-books are selling very well in the US. According to the New York Times, e-books are a hot topic at the Book Expo of America. Victoria Strauss over at Writer Beware discusses the new trend in agencies becoming publishers. Wonder what the next version of the Kindle might look like? Mary Kole explains why sometimes she has to turn down great work. Kristin Nelson discusses the agent's roles in the 21st Century. She also explains the delicate art of blurb requests, and warns about the "in perpetuity" clause in some contracts. Rachelle Gardner has an excellent series on difficult conversations. You can find the first part here. Anna Staniszewski talks about battling the stigma of being a YA writer. Over at Writer Unboxed, a very good article on why it might be a good idea not to obsess over all those numbers for followers, google alerts, etc. And how to put yourself out there. Finally, author Adam Rex has an open letter to everyone that thinks it's easy to write a kids's book. I particularly liked his quote challenge. QueryTracker was named to Writers Digest's 2011 list of 101 Best Websites for Writers. 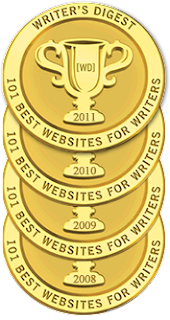 We have been honored with this award every year since QueryTracker was initially launched four years ago. Thank you to all the QueryTracker members who have made this possible. 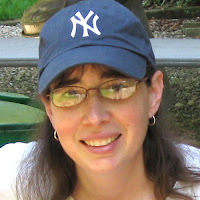 Agent Roseanne Wells from the Marianne Strong Literary Agency judged our last QueryTracker Blog contest on May 9, 2011. We had 244 Young Adult entries. We will contact the winners directly as well as posting them below. Ms. Wells chose three winners to receive a critique of their first 10 pages! We will be listing those winners below, as well as contacting them directly and supplying them with an email address to which they should send their pages. Ms. Wells also found a few entries that intrigued her enough that she is going to be contacting the authors directly to request material. If you are one of these people, you will get an email directly from Ms. Wells by Saturday, June 4th. Please do not contact her to inquire whether you are on that list -- you will get an email from her if you are. WINNERS: Please send your first 10 pages (QT will provide you with the address in an email). On to the winners of the 10-page critiques -- drumroll please! "Hi, my name is Ava and I'm," I say, pausing to pick at a splinter sticking up from the wood podium. "Hi, Ava." The crowd responds in a monotone unison. I know I'm supposed to continue. But what's the point in me saying it? We all know why I'm here. One of the tracks of fluorescent lights flickers and I look up. The ceiling of the church basement, filled with brown water stains, sags with age. The smell of one of those gross flavored coffees (hazelnut or creme de nasty) and mildew make me want to gag. Someone coughs in the front row. A clear your throat kind of cough meant to get attention. Leonard, the man who runs the meetings is staring at me, his eyes bulging, nodding for me to continue. Beads of sweat collect at the top of his shiny, bald head. From the moment I met the guy he was pushy. Play by the book, stick to the schedule. Trust the system. If it weren't for him I wouldn't even be up here introducing myself like this is some goddamn AA meeting. At first glance, this meeting looks like a regular support group, but it's far from it. Ignoring the fact that Leonard's practically falling off his chair to get my attention now, I take a deep breath and say,"...and I'm here because I made a deal with the Devil." I didn't know who she was, or what the f--- she was doing in my room, but she was naked. The shirt I was holding slipped from my hand and I stopped short. She was in front of the window with her head cocked to the side, looking right at me, like she had been waiting for me. White-blonde hair, parted in the middle, fell to her waist. Her left breast was covered, but the other one, I could see. My eyes drifted lower. She was shaved. No hair. None. "Who"--I took a breath and began again--"who are you?" "My name's Alice," she said. I glanced up at her face and she smiled, straightening her head. "Don't be afraid, Eden." Alice seemed like a nice name. A girl named Alice wouldn't hurt me. I wasn't afraid. I was more focused on the fact that my jeans were getting tighter. Normally, I guess I'd be embarrassed getting hard in front of someone, but she was naked; we were past that. My mind wasn't working right ... I couldn't really piece together my thoughts. I didn't know her. I'd never seen this girl before. I thought of walking back out of the room; instead, I stepped into the room and closed the door. It is eight-oh-six a.m. Visiting hours have just begun but the waiting room is empty. I sit in a squeaky plastic chair as my mother fills out my release papers. The nurse behind the plexiglass divider slides a bottle of pills across the counter. Mom shoves them in her handbag without looking at them. The nurse's voice is high-pitched and annoyingly bright. I hear her say things like psychotic break and catatonic state and sink low in the chair. If she knew what I was capable of, she would not be signing over my freedom so cheerfully. I'm wearing the standard-issue white t-shirt and gray sweatpants that everyone wears here. They take the strings out of the pants, but the elastic is so tight, an angry red groove digs into my waist. I don't know how the extended stay patients endure it. No wonder they're crazy. When my mom is finally done with forms and instructions, she turns to me and jerks her head toward the door."C'mon. Let's get out of here." Outside, the morning sunlight is hard and white and makes me ache everywhere. It's not warm. Or comforting. It burns my eyes, which are used to florescent lights and darkened windows. The second we are out the door, my mother grabs me by the shoulders and shoves me against the hospital's brick wall. I stop breathing. Her face is inches from mine. She bunches one hand tight in my t-shirt and pulls it right up to my chin. Her knuckles are as white as the cloth they're wrapped around. Behind her, a startled bystander mumbles under his breath and quickly shuffles away. "Do you have any idea what you've done?" My mother's voice is a brittle shard. "You can't ever, ever lose control like that. Do-you-understand?" She draws out each syllable of the question through clenched teeth. A huge congratulations to all the winners, and thank you again to Ms. Wells! What does an apple pie contest have to do with writing a novel? Something it took me about twenty years to learn. Back when I first started getting a local small-town paper, I'd read the whole thing because, well, it was a small town. After the heart-stopping excitement of an apple-pie contest, they wrote an article about it, with the recipe and an interview with the winner. Scanning the recipe, you'd find all the usual suspects: flour, water, salt, shortening, apples....vanilla extract? The winning contestant explained in the article that she didn't normally make an apple pie this way. For Thanksgiving and Christmas, the vanilla extract stayed in the bottle. But with a contest (and this is a rough paraphrase, but we'll pretend it's a quote,) "I know the judges are tasting dozens of apple pies, so in order to win, I need to add something to make mine taste just a little different. Just different enough that they remember, and that's why my pies win." Now, how would our winning baker write a novel? She'd think to herself, "This is a fine story just as it is. But the agents and editors of the world are looking at a hundred manuscripts a week, so I need to make mine taste just a little bit different." This is especially true for writing contests, but it's also true for querying. Your piece sits alongside ninety-nine others. Where's your vanilla? I'm not talking about adding a dragon, of course. (Nor gimmickry either; imagine using green food coloring on the crust. Yuck.) And although it's tempting to douse one's manuscript pages in vanilla extract for a little aroma-therapy, as a professional I have to recommend against it. These are the elements of a good apple pie query: Professional presentation. A query that tells the agent what the story is about. A brief bio. Your writing sample. Now for the vanilla: Your voice. Your details. A take on the story that only you could have written. A character you understand inside and out. If there are only twelve plots in the world, you'll have to infuse your apple pie novel with your heart and your perspective. Your vulnerability. Your humanity. The love you have for your own story. We're not writing only for ourselves. We're also writing for our readers. In the end, your readers will walk away from their slice of apple pie enjoying that lingering taste of vanilla, a subtle question mark bringing them back to the story again and again, and leading them to tell others about something they just can't get out of their minds. Isn't that what we all want as writers? So go. Go deep and find your vanilla. Jane Lebak is the author of The Guardian (Thomas Nelson, 1994), Seven Archangels: Annihilation (Double-Edged Publishing, 2008) and The Boys Upstairs (MuseItUp, 2010). At Seven Angels, Four Kids, One Family, she blogs about what happens when a distracted daydreamer and a gamer geek attempt to raise four children. She is represented by the amazing Roseanne Wells of the Marianne Strong Literary Agency. Gennifer Albin, and Ryan Graudin! Novel Journey has a nice post by guest blogger Jill Williamson on how she built the world in her story. Need an excuse for a road trip? The Guide to Literary Agents presents you with 3 Reasons Why Personally Visiting a Source/Location Will BetterYour Writing. AuthorCulture addresses the Two Most Important Things To Know Before Hiring a Freelance Editor...as well common mistakes writers make in telling their stories. Adventures in Children's Publishing teaches you to track your manuscript changes using MS Word. 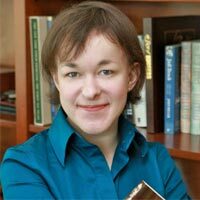 Also on Adventures in Children's Publishing, Sherrie Peterson talks about how long to wait before you start to query...and when to set that novel aside. Guest blogger Robert Bruce tells gives you writing tips from great literature over on There Are No Rules. Karen Sandler is our latest Querytracker.net success story with a book coming out (September, 2011). We hope you enjoy her interview. If you have any questions, I'm sure she would love to answer them. Can you tell us about your journey from The Call to now? Looking at my records, my first query for TANKBORN went out October 13, 2009. Before the process was over, I’d sent out 28 total. In some cases, the agents’ submission requirements allowed me to send part of the manuscript. In a very few cases after sending only a query I got requests for the partial and even the full. Two agencies that requested the full eventually made me offers of representation within days of each other in late February 2010. I’d always thought it would be very cool to have more than one agent “fighting” over me. But I loved them both and it was difficult and sort of heartbreaking to have to choose one. Eventually I decided on Matt Bialer at Sanford J. Greenburger Associates. Based on Matt’s notes and those of his fabulous assistant/junior agent Lindsay Ribar, I did an extensive (but not the first) re-write, with much back and forth with Matt & Lindsay. When we were all satisfied, the book went out in early April 2010. We got an offer for Italian rights in early May (seemed very unusual to sell foreign rights before a U.S. sale. Then in late August, came the offer from Lee & Low Books. 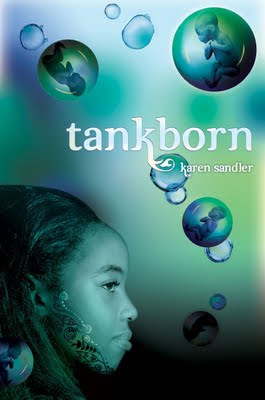 TANKBORN would be one of three launch books for Lee & Low’s new YA/MG imprint, Tu Books. Once the contract with Lee & Low was in place, there were two more extensive re-writes based on notes from my editor, Stacy Whitman. Along the way, we discussed cover art and Stacy also commissioned an artist to draw a map of Svarga, the main continent on the planet Loka where the story takes place. The map (based on a very crude one that I drew) will be included in the book. Stacy also had an expert in Indian culture read the manuscript to be sure I didn’t commit any major faux pas. The most recent milestone for TANKBORN is that the cover was just released and I’m waiting on copyedited galleys. What was one of the most surprising things you learned in creating your book? I had gotten very used to writing what are called “category” or “series” romance novels. In my particular line, six books are released every month. They’re quite short (55K-60K for the ones I wrote) and the turnaround time is short as well. So I could write a book in about four months (and I know authors who write them even more quickly). I was used to writing at least two a year, with time left over for other projects. There would be one round of very light editing for my book, then later a quick read-through for typos and that was it as far as editing was concerned. For TANKBORN, a full-length (~97K words) science fiction book, there were four rounds of very extensive re-writes. Based on my past experience of being lightly edited, I thought this meant that there was something wrong with me as a writer. Lindsay assured me that what we were going through was par for the course. I’d just never had the luxury of an editor being so focused on my book and being able to give me such thorough notes. Was there ever a time you felt like giving up? Why didn’t you? There have been many times when I considered giving up. Back in the late ‘90s, early 2000s when I didn’t have a sale for three years. More recently when I submitted five (yes, five) proposals to my editor at Harlequin and he turned down every one. Luckily, I’d been working on TANKBORN during that time, so I had somewhere to turn when I got discouraged. I didn’t give up because I’ve always wanted to be a writer (at least since I was 9 years old). I identify so strongly with being a writer, it’s hard to imagine not doing it. I will always find a way to write. What is the hardest/least favorite part of being a writer? There are two very difficult aspects to writing, and they’re related to one another. First, I despise the waiting—to hear back from an agent, to find a publisher willing to take a chance on your book, to have to wait for reader reactions because the book doesn’t come out for a year or six months. The other aspect is that so many other people seem to control at least part of your career. Often, without an agent, you can’t get your book to a publisher. Without a publisher, you can’t get your book published. Even if it’s published, you can’t make readers fork out their money to buy it and you certainly can’t make them like it. Nowadays, the opportunities for self-publishing have the potential for removing the “obstacles” of agents and publishers. But there’s still the issue with finding readers (or readers finding you), which is even more difficult with that mode of publishing your book. If you could give a message to aspiring authors everywhere, what would it be? If you truly want to see your work published, keep working at it. Don’t allow yourself to mope for longer than a day when you get a rejection. Remember, you’re only getting rejections because you’re getting your work out there. If you’re persistent and talented, you will likely reach your goal of publication. What is your advice to new or unpublished writers? Improve your craft. So many editors or agents say “write the book of your heart” or “write the best book you can.” But you can’t do either one if you don’t know the basics of spelling, grammar, character development and story construction. So take classes if they’re available (there are many online). Go to writer’s conferences where you’ll not only learn your craft, you’ll have a chance to meet bestselling authors, agents and editors. Join or form a critique group. You need outside eyes to read your work. What kinds of things are you doing to promote your books? Did you do anything before you found an agent? If so, what? Keeping my blog, website and Twitter feed up to date. Doing school visits, book signings, attending conferences. If television or radio interview opportunities come up, I’ll be glad to do them. I’ve been doing these kinds of things for years, both while represented and not. Is there anything you wished you had done differently? There are individual decisions I sometimes second-guess myself on, hindsight being 20-20 and all. I always wish I was more disciplined in my writing. But everything I’ve done, right or wrong, has been a learning experience. I just submitted a proposal for a TANKBORN sequel. I’m also working on a re-write of a paranormal YA. Great novels don't happen by accident. They're a culmination of great ideas, great story, great writing, patience, and the ability to rewrite fantastically. As I learn more and more about writing, I've found that I begin editing before I've even typed a single word into the computer. The first thing a person has to do to rewrite well is to start with the right attitude. Everything (I'm not talking about sacrificing your values here) has to be on the table. Every word, every character has to be something you're willing to consider changing if doing so means making the story stronger and better. It's kind of like that song, Anything You Can Do (I Can Do Better.) Only sung to yourself. If you have a talent for great description, you can still seek to find the perfect description. Not only will this tighten your writing, but it'll bump it up a notch. Having an everything is optional attitude from the beginning is freeing. It allows me to draft with less fuss, because I'm not so worried about making everything perfect the first time. And it helps with the revisions as I work to separate the silver from the dross and make the golden bits sparkle even more. Which leads me to the second thing good revisers need: the ability to trust their gut. It's important to keep an open mind, because as writers, we can be very blind when it comes to our own WIPs. Good critique partners (betas, etc.) are invaluable, but they aren't always right. Sometimes you just have to go with your gut--making sure it's your gut and not simply a resistance to change. Then come the edits themselves. There's the addition edit, wherein you look to see what you need to add to the story to make it complete. For me, it's always description. Visually speaking, I tend to be blind, so I have to go through and find places where good description and setting emerge organically from what I've already written. Then there's the deletion edit, wherein you look to see what you need to cut from the story to make it complete. This is also the place where you might need to merge two scenes or maybe even some characters. I write very spare for the most part, so my deletion edit is usually more of a boy-that-was-awkward-phrasing or I-need-to-change-the-scene-a-little-farewell-words. Then there's the weakness edit, wherein you go through and hunt down every single weakness you can find and kill it. Mine tend to by an over abundance of similes and metaphors (it's how I think), over explaining, too many -ing phrases, really long sentences. Then there's the line edit, going through and polishing away every grammatical error, every typo, making sure it all flows smoothly. Paired with this would be the syllabic edit. Reading it out loud and making sure every single syllable or word is needed. This can also make you aware of trouble spots that might have flowed well mentally, but twist your tongue in knots when spoken aloud. And there are probably a bajillion other edits I haven't mentioned. But these are the edits I do. Now, as I'm becoming a more experienced word wrangler, I can combine some of these edits. Sometimes. It really depends on the story and how much work it needs to be stronger. Good rewriters need a lot of patience. They also need the willingness to work hard--even when it's not fun, doesn't seem worth it, and who's going to read this anyway? And the final thing they need is confidence. Honest confidence does not breed arrogance. It is the acknowledgement that you did the very best you were capable of. There's no need for false modesty, fishing for compliments, or looking down your nose at someone else's work, because yours is quite obviously superior. Those are all symptoms of having a lack of confidence. Honest confidence is being able to know you gave it your best, and to be happy with that no matter how others might experience your story. Those are some of the tools in my Toolbox of Rewriting Awesomeness, what tools do you keep in yours? 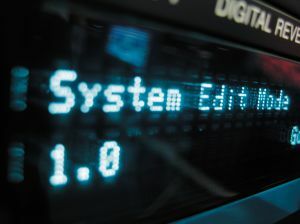 *I learned about this type of editing from Dave Farland/David Wolverton. Congratulations to Stephanie Alexander and Lindsay Smith. Their success stories went up this week on the QueryTracker main site. Lindsay won first place in our March contest with agent Weronika Janczuk. 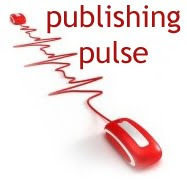 Amazon announced it would expand into the traditional publishing format with its new imprints. Meanwhile, three major publishers provided financial backing for Bookish, a soon-to-be launched online book platform. Read more about it here. Does your story have a hook or merely a gimmick? 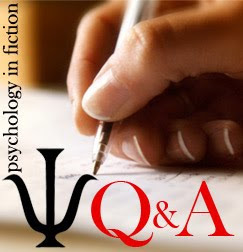 Read this article from Guide to Literary Agents to find out. The conference handouts for next month’s RWA (Romance Writers of America) National Conference are now available. Even if you’re not going (or you don’t write romance), you’ll going to want to check them out. Agent Andrea Hurst had some suggestions to help you prepare for pitching at a conference. And agent Natalie Fischer explained how to write a one sentence hook. I have a simple, very simple, request for everyone who reads this blog. Please, please name your main character. I recently ran a short story critique group as part of an online writers conference, and fully half the stories had a nameless main character. One of these was even a third-person narrator. The reason given by the authors was, "I wanted the main character to be an everyman type," or "I wanted to make sure the reader would be able to step into her perspective." In addition to the lack of a name, these characters lacked history, lacked family, lacked motive -- lacked personality. Before I begin dissuading you from taking this route, let me admit there are perfectly good stories which have nameless and extremely interesting narrators. A. Lee Martinez does a fantastic job with a nameless first-person narrator in A Nameless Witch and Daphne du Maurier's Rebecca also has a nameless first person protagonist. But for the most part, every novel you pick up is going to have a protagonist with a name, and there's a reason for that. Because before your reader can identify with your protagonist, your protagonist has to have an identity. Leaving the character nameless is a symptom of this overall lack of identity in the main character, and rather than creating a blank slate on which the reader will write his own name, gives the reader a featureless individual who drifts rather than acts (since our actions come from our identity) and whom we instinctively distrust. In these cases, the namelessness is a symptom rather than a cause. Do you want to write an "everyman" type of character? Check out the Harry Potter books. Not only is Harry's life detailed, but they're very specific details. They're in many ways over-the-top details, but they're all there, and yet millions of readers identify very strongly with Harry. Now why would that be, since I can guarantee you all those millions of readers do not have magical powers, are not orphans, were not forced to bunk under the stairwell, and aren't living in boarding schools. Many aren't male and all the ones I know personally are not British. someone who feels the rules are smothering him and keeping him from achieving his full potential. Everyone can identify with these traits. Either we feel those things about ourselves, or we want to believe those things. Harry evokes in the reader a sense that we can transcend our past, can prove our detractors wrong and maybe live up to the expectations of our cheerleaders. Who wouldn't want to feel that? So to make your MC more identifiable, give him that human core which we all want. Expanding those characteristics, even if they're not specific to every one of your readers, is going to make your protagonist more accessible. He doesn't have to be "everyman" in order to be identifiable to everyone. The reader wants to invest in the main character. That's in the author's favor. It's easier for us to do that if your MC is inhabiting a fully-fleshed-out world of his own. That means a job, clothes, flaws, needs (both met and unmet), friends, choices to be made and the process by which the character makes them. It means a personality. It means a name. And once you give us those characteristics, we'll be able to step into his place and see ourselves there too. Jane Lebak is the author of The Guardian (Thomas Nelson, 1994), Seven Archangels: Annihilation (Double-Edged Publishing, 2008) and The Boys Upstairs (MuseItUp, 2010). At Seven Angels, Four Kids, One Family, she blogs about what happens when a distracted daydreamer and a gamer geek attempt to raise four children. 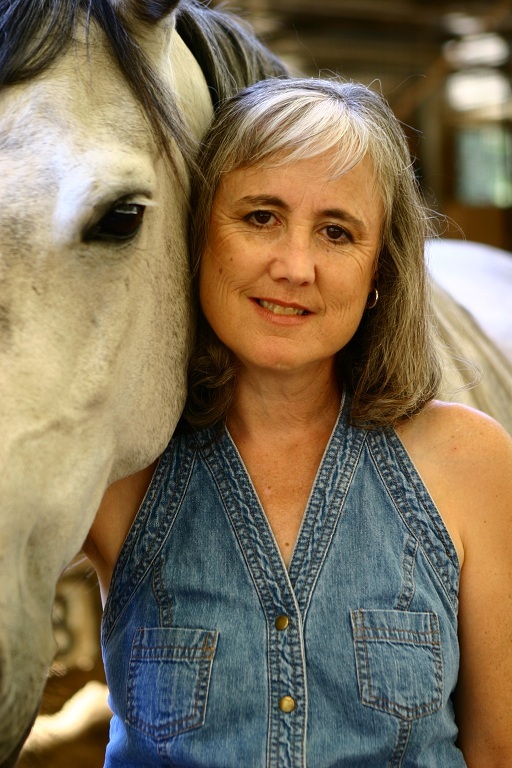 She is represented by the resolute Roseanne Wells of the Marianne Strong Literary Agency. Our contest with Roseanne Wells closed at 9am this morning. We will be going through all of them to make sure things went into the form properly. If you hear nothing from us, your entry is complete, and will be forwarded on to Ms. Wells in the next day or two. Please do not contact Ms. Wells or the Marianne Strong Literary Agency directly regarding the contest. Winners will be posted here, on the blog, and put directly in touch with Ms. Wells once she has selected the winning opening pages. Winners will get a critique of their pages, and if Ms. Wells finds something that really interests her, we may even have a request or two for material! We expect to have the results within two weeks -- probably sooner. If you have any questions in the meantime, you can post them in the comments or shoot me (Carolyn) an email using the email address in the sidebar of the QueryTracker Blog! Thanks again to everyone who entered, and to Ms. Wells for judging! And if you weren't able to enter this contest, don't worry -- we expect to be having another soon! Agent-Judged YA Contest Is Now Open for Submissions! Our agent-judged Young Adult fiction contest began today, Monday, May 9th at 9:00 am Eastern Standard Time. Agent Roseanne Wells from the Marianne Strong Literary Agency is judging the contest. The contest entry window is 24 hours and will end at 9:00 am Eastern Standard Time on Tuesday, May 10th. You may only enter one project. Please be certain all projects are complete, edited, and polished enough to present to an agent. Submissions must be made via our online submission form. (A free QueryTracker.net membership is necessary to use the form and can be accessed from the form page.) Only entries received through the online form will be accepted. Entries emailed directly to the agent or agency will be disqualified. This contest is for YA fiction only, so no MG or Adult projects in this contest, please. Ms. Wells wants to see the first page of your manuscript (+ or – half a sentence. Don’t just end mid-sentence). Details for this contest were posted in the Publishing Pulse last Friday, and have been in the contest widget in the sidebar for over a week. The response time and announcement of the winners (who will receive critiques of their material from Ms. Wells) will depend on the number of entries. The more entires, the longer it will take--one of the pitfalls of not having an entry cut-off. Ms. Wells hopes to have the results within two weeks. I'll give updates as to her progress and the winners will also be notified directly via email. If you have any questions or comments, feel free to post them in comments! Best of luck to everyone and special thanks to Ms. Wells for judging! * Please note: Sometimes the email notifications from this blog do not go out right when the post is published. Therefore, if you are an email subscriber, this email might arrive after the contest has begun. This is due to a Google Blogger issue we cannot control. Congratulations to Don Zolidis and Miriam Forester, whose success stories went up this week on the QueryTracker main site. Writer's Digest published a good article called 6 Steps to Jump Start Your Story. Over on PsyBlog, there's an article on how psychological research reveals how rational versus intuitive thinking can inspire new ideas. Agent Roseanne Wells from the Marianne Strong Literary Agency will be judging out next contest, which opens at 9am EST on Monday, May 9th and will run for 24 hours, until 9am on Tuesday, May 10th. Ms. Wells wants to see the first page (plus or minus 1/2 sentence--don't just cut it off mid sentence) of COMPLETED Young Adult novels. 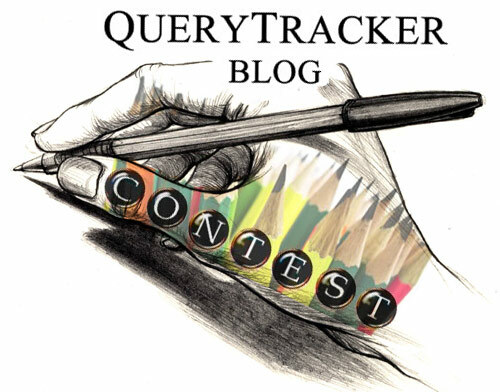 At 9am Eastern Time on May 9th, we will make a submission form for the contest available on the QueryTracker.net website. (A free QueryTracker.net membership will be necessary to use the form.) A link will be posted on this site at the start of the contest. There is no advantage to being one of the first to enter as we will accept all entries submitted within the 24-hour window. Only entries received through the online form will be accepted. Entries emailed directly to the agent or agency will be disqualified. The original contest post is here. Please check the blog the day of the contest as email subscriber notifications are sometimes delayed because of Google Blogger issues we cannot control. Yep. That's me. Technologically challenged is my middle name. I thought I knew my way around Word fairly well. I mean, it's a word processor. What's to know? You open a document, save it under the name you'd like, and you type. I'm sure most of you already know these tips, but for those of you who don't know, these should save some time and frustration. So simple, right? Boy, I wish I'd know about this function back when I wrote my first, serious novel with the aim of writing professionally. Right about the time when I learned that they'd lied to me in high school about double spacing. It turns out, double spacing is for type writers, while single spacing is for electronic documents. Heh. So. I went through my 80,000-word manuscript and obliterated every single extra space. By hand. I also changed a number of character names. Also by hand. Save yourself the time and drudgery and just click on the "Edit" menu, scroll down to "Replace" and click on it. A box will pop up and all you have to do is type in the original thing (think period, space, space or a character's name) and then in the space below it, type in what you want (period, space or new name). This also works if you're working on overcoming certain writerly tendencies that weaken your writing such as an abundance of adverbs, to be verbs, gerunds, and the like. Say I want to make sure each page isn't peppered with was or were. I pick the color I want to highlight these words in and have it set. Then I hit the "Replace" button. I type in "was" and in the next space, I type in "was" and then I highlight it. Makes life so much easier. Although I will caution you on doing a search for -ings if you're looking to curb your gerund problem. There are a whole lot of words with -ing in them that aren't gerunds. Lesson learned the hard way. Especially if you have the "Track" function on. When you're going through and editing your novel, it makes sense to have a bookmark to remind you where you left off. Prior to discovering that Word has a bookmarking function, I simply highlighted the word (usually the first word in a new chapter) I needed to begin with the next day. But scrolling was a pain. And then I discovered bookmarks. If you click on the "Insert" menu and scroll down to almost the very bottom, you'll see the word "Bookmark." If you click on it, a box will pop up asking you to name the bookmark. Being the creative person that I am, I always call it "here." Then you push "Add" and you're good to go. Just make sure you save before you close the file. When you want to go to the bookmark, simply repeat the process: Insert-->Bookmark. The box will pop up. Make sure the bookmark you want is highlighted and then push "Go to" and then "Delete" if you don't want to keep that particular bookmark. Anyone else have any tips and tricks to help make Word even more efficient and writer friendly? *gerunds: verbs masquerading as nouns: Running is hard work. To run is a verb, but here, it's the subject of the sentence and acting as a noun. Not an evil thing to do, unless most of your sentences start this way. QUESTION: My MC, Andrew, exhibits many symptoms of borderline personality disorder, including splitting. With the splitting, he basically thinks of himself as a "good" Andrew and a "bad" Andrew. In his internal thought, the good part of him (who he calls Leif) talks with the bad part. At first, it's just jumbled thought, sometimes doesn't make sense, and as it progresses, it develops two distinct voices. He thinks the bad Andrew is just worthless and a street whore (he's a prostitute) and the good Andrew is who he is trying to change into, to fix his life. I don't think this is split personality or multiple personalities because they are aware of each other, and it really is like two aspects of the same thing. Does this make sense, psychologically? Is it still borderline, or is this something else? ANSWER: It sounds like you've got the gist of splitting, which is pretty commendable, since it's a tough concept. Typically, though, adult splitting is seen as a kind of defense mechanism, so people aren't really aware that they're doing it. Let me explain splitting a little more, just so that makes sense, and then we'll talk about what might work well for your story. According to object relations theorists like Melanie Klein, newborns essentially believe that the world is part of the same entity as them. In other words, they can't differentiate between themselves and the world. Later, they differentiate between "me" and the world, but Mommy (or Daddy, or whomever the primary caregiver is) is seen as part of "me." Still later, the child begins to understand that "me" and Mommy are different, but they have trouble seeing "good Mommy" (who acquiesces to them and fulfills their needs) and "bad Mommy" (who says "no" or is otherwise frustrating or disappointing) as the same person. This is splitting, and it's natural around 3-4 months of age. As we get older (i.e. around 6 months of age), we learn to see "good Mommy" and "bad Mommy" as part of the same person. That's why we can love and hate someone at the same time. This natural process is interrupted in people who have borderline personality disorder, typically due to trauma of some kind (usually abuse). As a result, these children never stop splitting other people and either idealize or devalue them. They may swing back and forth very quickly from one side to the next, but they aren't really able to simultaneously integrate the good and bad. People with borderline personality disorder never learn to regulate their emotions, so they have extremely tumultuous, even destructive relationships with others as they frantically try to get others to help them deal with a world they feel they can’t deal with alone. At the same time, you’re right, it doesn’t sound like Andrew would qualify for dissociative identity disorder (multiple personality disorder). His relationship with his alter ego, Leif, isn’t dissociative enough. It sounds to me like Andrew has just named a normal ego state and is relating to it in a way that works for him. Which is entirely possible and probably is not in itself diagnosable. Everyone has multiple ego states. That’s normal. For example, the “you” that goes to Thanksgiving dinner with the in-laws probably acts a little different than the “you” that goes out for a raucous evening on the town with friends. Both parts are you, but they’re different sides or facets of you. Some people are more aware of these different ego states than others, especially if they play very diverse roles in life. That sounds like the case for Andrew. It’s even pretty normal for people to give their ego states names, though they may think of those ego states as “the party girl” or “the writer” or whatever. People also adapt their names based on the setting they're in. For example, an Andrew might be Mr. Whomever at work, but Drew with friends and Andy to his lover. And I know people who go by their given names (e.g. James) in formal situations but by a middle name or nickname that's completely different in informal settings (e.g. Tim). If you want or need a diagnosis for Andrew, based on the brief description you gave me, I’d probably lean toward some kind of a mood disorder, maybe dysthymia (a chronic, low-grade, but extremely wearing depression) or a major depressive disorder (which is more crippling at its worst, but tends to get better and then worse and then better again over the years). An anxiety disorder is another possibility. 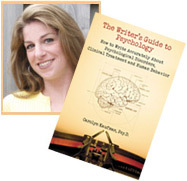 For more information on borderline personality, dissociative identity disorder, mood and anxiety disorders, treatments, therapies, and character-building, check out my book on psychology for writers, The Writer's Guide to Psychology: How to Write Accurately About Psychological Disorders, Clinical Treatment and Human Behavior!